Woah, how is it April? The first quarter is over and it's time to review my blogging goals. Time is flying by, even more so now that I have my own business and set my own hours. I'm also really excited to start the second quarter because that means it's spring, longer days and I have more energy. I get a little nervous sharing my goals and reviewing things. I have an extremely hard time telling myself good job and tend to focus on things I could be doing better. My poor business coach sometimes has to turn into a therapist, but she gets me! Last week I shared a random life update and was blown away by the response. I didn't really do much with that post at all – I didn't even create a Pinterest image because it was more personal – but it garnered a nice amount of comments and A LOT of emails. What's really exciting about this post is that I can actually share what I was doing a year ago. So much has changed in my personal life and blogging life, it's crazy. Last year at this time I was still living in an overpriced apartment in Seattle, taking public transportation to my full time job and had just started my fifth month of blogging in my spare time. This is crazy – one year ago I was a totally new blogger. Now I live in Nashville, am saving a ton of money with my living expenses and have my own business. Say what?! If you had asked me then what I would be doing now, I would have totally laughed and said yeah right. Get my Alexa US rank under 350,000. I am currently at 488,000 Today my US rank is 84,000. Success! Grow my Twitter following to 1000. I am right under 500. I'm around 1,900. Sadly I do nothing with Twitter and this could probably be higher! Work on creating a newsletter Success! Have a guest blogger on once a month. The interaction and cross promotion with Chonce and Charissa was a lot of fun! Success – kinda. I do have guest posts now and then, but my focus has shifted. Create at least 2 photos for each blog post that can be shared on Pinterest. Success – I do this for my popular posts. Speaking of Pinterest, I want to join more group boards and gain more followers. I currently have a new strategy in place when it comes to pinning and the results are already paying off! Success – now I actually manage Pinterest for fellow bloggers and businesses, as well as have a course available. Crazy!! Increase my page views to 5000 a month. Success – I ended the year at 160,000 page views a month! Apply for sponsored posts or join larger affiliate networks, like Shareasale and Cooperatize. Success! Blogging can be like an online diary. When I read my post from a year ago, I could tell I wrote this post with a lot of optimism and determination. 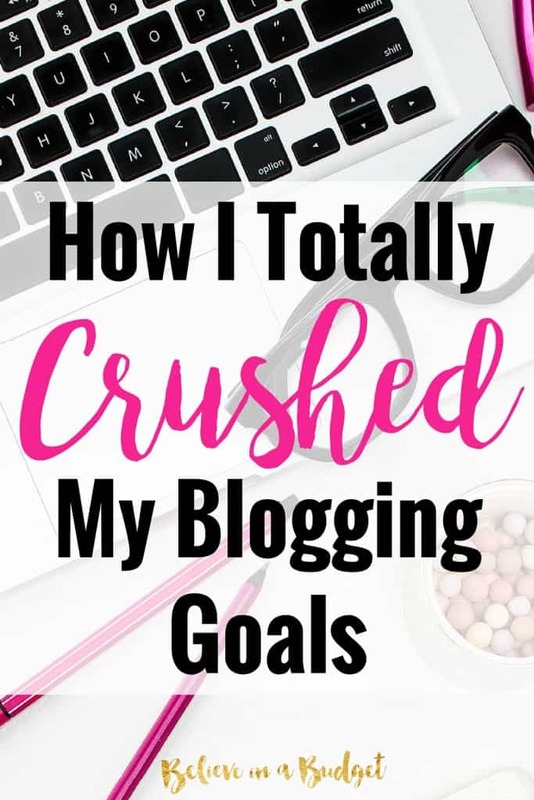 Blogging and growing a business did not happen overnight for me. I was patient and knew things would take time. But hard work paid off. I am living the life I want and can thank this blog for that. So how is this year going? Well, I don't know if I could describe it in just one word. It's been exciting, interesting, exhausting….even fearful for the unknown. Some weeks I feel like all I do is hustle; other weeks I have downtime. Got accepted into AdThrive! If you've noticed my site looks a little different, but you aren't sure why – it's because I have different ads on my site. I applied back in December and have been on the waiting list since then. You have to have a minimum of 100K pv's in a 30 day succession to apply. This means Adsense and Media net have been nixed from this site. I can't wait to see if there is an increase in income, and I'll be reporting my findings in a couple of months! You guys, I'm really proud of this. Mostly because my site has been rocking over 100K monthly page views for the past four or five months. Crazy!! Released a book! I told myself I wanted to release a product each quarter. 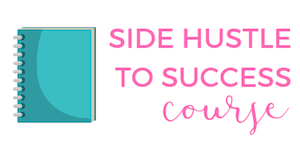 I wrote this course on how to side hustle and make extra income. In the past two years, I've made over $6,000 in my spare time without having a part time job. Focused on affiliate income. I'm starting to become much more comfortable writing about products and apps that I use and love. EBA was a huge moment for me in February. I wrote an honest review about my thoughts on the course and so many other bloggers seemed to appreciate my words. Reduced blogging to 1-2 times a week. Success! Last year I blogged three times a week for the entire year. This year I am focusing on writing really great content, which means longer posts. Right now I blog one to two times a week. What's great about this is my pageviews are increasing. I always assumed I would have to write all the time to stay relevant, which is totally a myth! Asked for help. I've been getting a little overwhelmed with how much work there is to get done. I also get really annoyed doing busy work. So I made the decision to hire a VA and it has been a lifesaver! I actually work with two VA's; one helps me with this website and the other helps with my Pinterest business. This frees up a few hours a week for me so I can focus on other things that can help me bring in more income. Sometimes you have to spend money to make money! Gave back. So far this year, I have sent a little bit of my income towards animals in need each month. A few years ago, I was much more active helping with pet charities through donating and volunteering. I miss this. It feel great to give back and I wish I could do more! Work on my time management. I'm still figuring this out! I like that I don't have a set schedule with everything, although I do keep a set schedule for my Pinterest business. I am finding that I work really well in the morning and in the evenings, and get distracted in the afternoon. I'm using this to my advantage though and use this time to walk my dogs and run errands. The biggest wake up call. One of the most interesting things I'm learning is that I can still earn income without working all the time. This sounds strange, but there have been plenty of weeks I haven't worked a standard 40 hour work week and still bring in income. By nature, I've always been a workaholic, so I'm experiencing some guilt with this. Email funnels are a series of emails that are sent to a reader when they sign up for something, like a free chapter from my book. When a reader signs up for my book, not only do they receive a free chapter, but also a series of emails over the course of a couple weeks. In the series, I share a few emails about how I got started side hustling, ridiculous things I have done to make money and how I perfected the system. My email funnel and newsletter have been the BEST source of traffic for the purchase of my ebook, so I want to expand on this. One of the best ways to write email funnels is from ConvertKit. I previously used Mailchimp to send emails, but when I got over the 2,000 subscriber list I knew I would have to pay for my list. I did a ton of research and ConvertKit was my favorite. Since joining, I have seen a lot of growth, email signups and sales for my book thanks to ConvertKit. Yippee! (I should probably do a post on how I use ConvertKit and how it makes me money.) Plus, every time I have a question, Nathan or someone from his team emails me back pretty quickly. This is so much better than getting an automatic response with a ticket number. It's all about customer service, y'all! 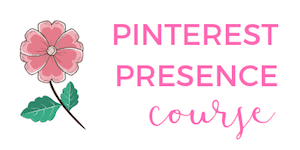 I'm in the process of dropping my Pinterest Presence course. You guys, this course is my everything. It's literally verbatim on how I work with my Pinterest clients through chat sessions and the methods I use to manage all of my Pinterest clients. I get a lot of emails from potential clients that have a lot of questions. 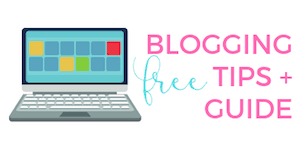 Sometimes I'm too expensive for their needs, my client list is full, or bloggers want to be able to figure out Pinterest on their own but with a lil' bit of guidance. I really want to be able to help more people with lower budgets (hello, this blog is called Believe In A Budget), so creating a course was the answer. These kinds of goals help keep me motivated and get me really excited when I fire up my laptop each day even though my laptop is running slow and approaching death. Freelancing is a dream come true. Each month gets a little bit better, I learn something new and I get to work on the life I want. I have no problem admitting that I like to keep my online life separate than my personal life. I've turned down guest posts and interviews because I don't want there to be a crossover between my real life and online life. I'm not that into Facebook, I have no desire to tell people what I am doing 24/7 and I'd rather enjoy the moment than post about it. So there you have it! I cannot wait to see what happens this quarter. I have a feeling big things are going to happen! What kind of personal and business goals are you working on? Anything crazy happening in your life? These goals have made me smile and reading the ones you accomplished as well. I too am trying to raise my Twitter following although I am noticing some fake/bot accounts may be following me right now, not sure how that hurts things? I have a bad habit of only posting 1-2 times a month on my blog or less and want to increase that. My biggest challenge right now is living on less income but I am making it work. My Twitter following is all organic – I have no strategy! I get the occasional fake bots too but figure that’s bound to happen! Congrats on getting accepted into AdThrive. I’m at the same place as well. I just got in after moving from The Blogger Network. I hope it works out. Thanks! I’m only a few weeks in and have already noticed a huge increase in ad revenue since switching to AdThrive! Congratulations on your success!! My blog goals for this year include getting up to 10K for all my social channels (FB, Insta, Twitter, and Pinterest) and also for my subscribers. I’m almost there for my email list and Pinterest, but I have a ways to go for the others. It’s amazing what keeping your goals in front of you does for success — I love it! Thanks Natalie! That’s such a great goal. I’m still in the beginner phase for most of social media and have zero strategy lol. Having goals makes all the difference though and I love having something to work towards! I am so excited to see all that you’re doing and can’t wait for your Pinterest course. I try to take at least two courses each year. Right now, I’m taking EBA and yours will be a perfect complement. It’s hard to admit our mistakes. Tell the truth about the pain you’ve experienced. You’ll help someone else in the process. Keep it up! You are truly an inspiration. I’ve been learning more and more about your journey and it’s inspiring for sure! I’m a freelance writer and have twins so my end goal is to earn some passive income. It’s great to hear how you are scaling your business with your book and course! Thanks Elna! Freelancing writing is such a great niche to be in – there are so many successful freelancers out there and there is room for everyone to do well. Good luck! You are crushing it Kristin! It’s inspiring to see someone doing so well on the blogging front. My main goals the first half of this year is to get my redesign implemented (1 week away), promote my book, and have a more defined content strategy. I’m looking forward to what 2016 (and beyond) has for my blog. Thanks! Blog redesign is so tedious and exhausting. I’ve with you – I’m trying to see the bigger picture this year and have a real strategy this year. You’re gonna do great with your book launch! Wow thank you for your inspiring post. I am just properly starting out blogging and have to say I find this overwhelming and at times I am wondering if I am doing things right. It gets disheartening. I am the same as you in terms of wanting to remain private so I am debatig whether to use Facebook or not. Wish me luck! Hi Helen! I recently set up a FB page for my business and have been able to keep my private life separate from it. I *think* I was able to hide the groups I belong in on my personal FB page (I have to double check). Good luck! You have done so well in the first quarter of 2016! I am sure you will reach all your other goals too! I have a few goals set for 2016. My personal goal is to lose pregnancy weight – it’s going pretty well. My professional goal is to look for ways to earn money online as I have recently become a full time stay-at-home Mum. My financial goal is to save a certain amount of money in 2016. There’s definitely been some progress, but I’ve still got a lot of work to do! Wow. You did wonderfully on your blog goals. I’m a new blogger myself and find this very inspiring. If a year from now, I could be running my own online business, that would be amazing. I made $80 my first month blogging and am trying to increase that from month to month until I am finally able to replace the income from my full-time job. I also have plans to move to a lower COL area once my online business takes off. Where you were a year ago is exactly where I am today!